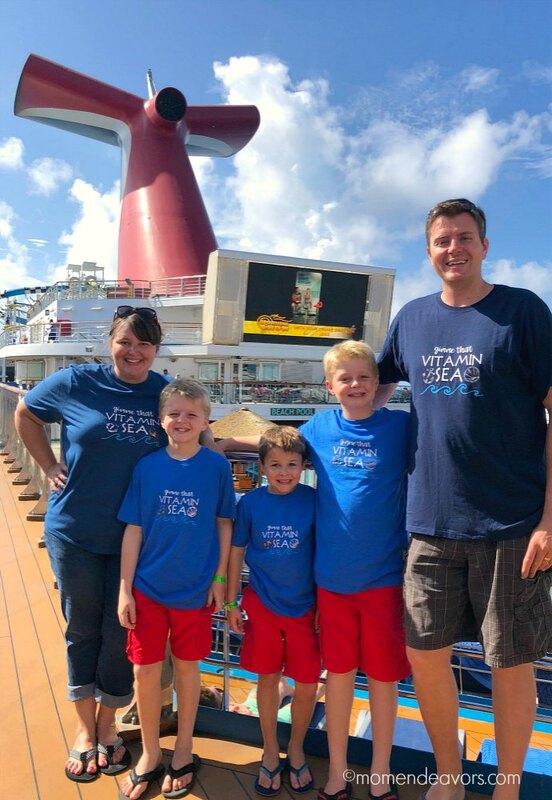 Planning an upcoming family cruise? Or even just a family beach trip somewhere? 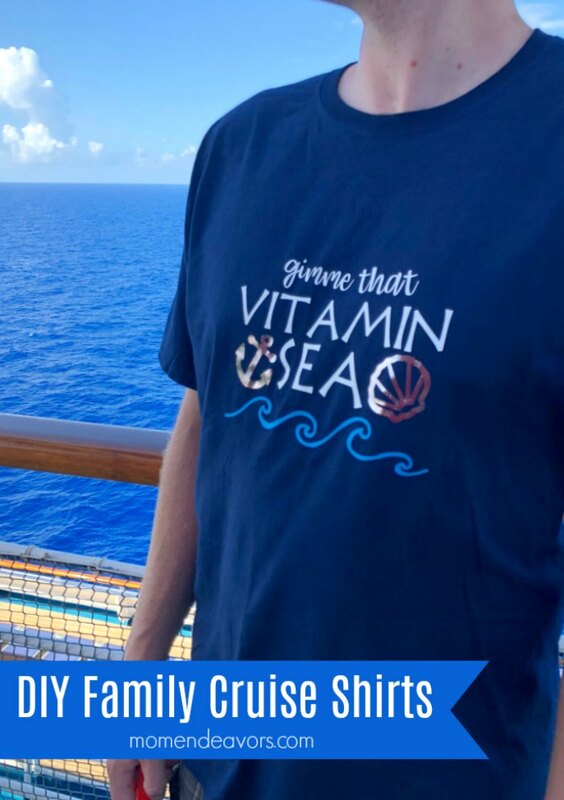 We’re thrilled to help you get ready for your trip with an adorable DIY custom “Vitamin Sea” family shirt idea (along with links to the design file so you can make your own) as part of a sponsored partnership with Cricut. “Gimme that Vitamin Sea”! Yes, who else is with me on that?! Vitamin C is of course an important thing, but I’ll take some Vitamin SEA any chance I get. And we just got a healthy dose of it on an awesome 8-day Eastern Caribbean cruise with ports like St. Marteen, St. Kitts, Puerto Rico, and Grand Turk. Love! So, I decided we needed some fun family shirts for our trip! I wanted something that would work whether we were on the cruise ship or on the beach…and a design that worked for all ages and genders! 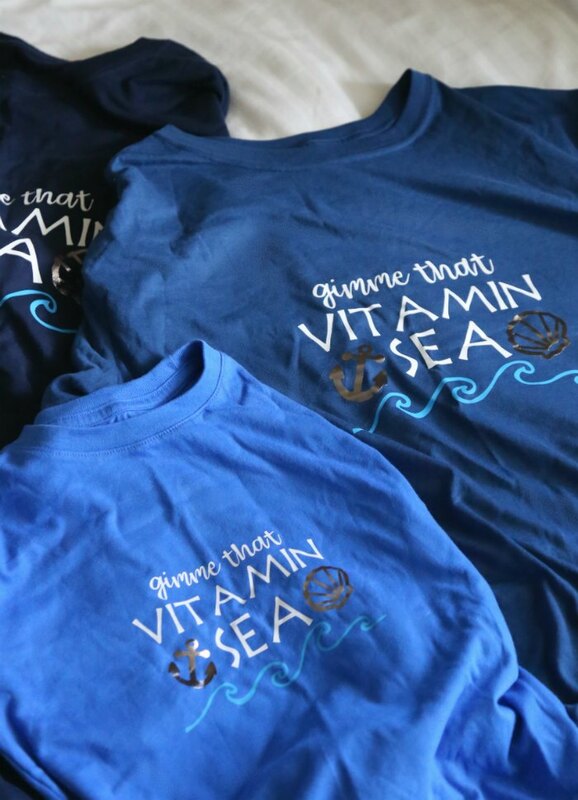 So, I ended up creating the Vitamin Sea design! Aren’t they cute?! I really like the way they turned out! You know I have a thing for matching shirts and that gets REALLY tricky for our family as the kids get older (and since I’m the only female). aSo making custom DIY options is the PERFECT solution and they are SO easy to do with Cricut! 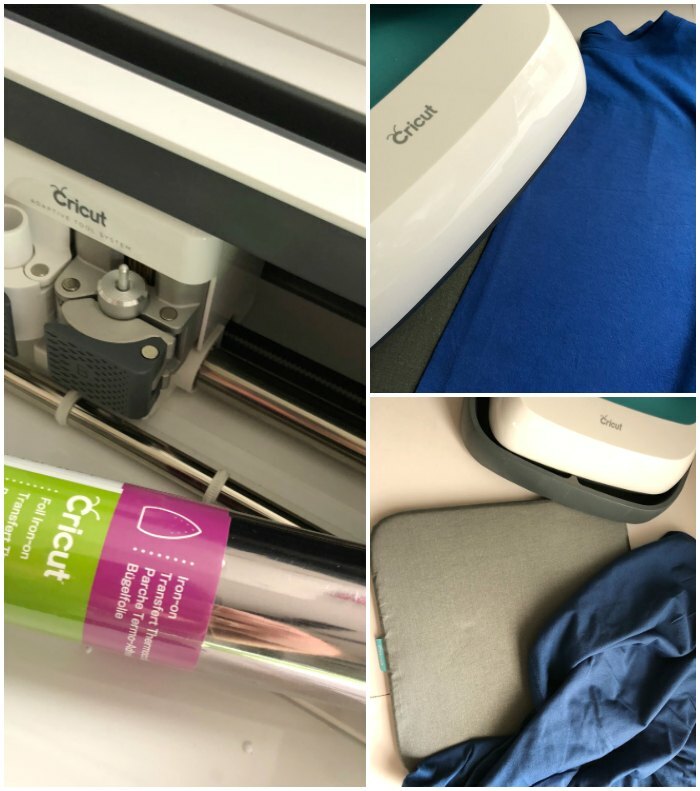 After gathering the supplies, the first step in making these shirts was designing the shirts in Cricut Design Space! But you don’t have to do that, because I have the cut file to share with you!!! All the fonts and images I used are are right there in Design Space (which has software available for iOS, Android™, Windows®, and Mac® by the way), so it was super easy to create! And will be easier for you if you like the design. 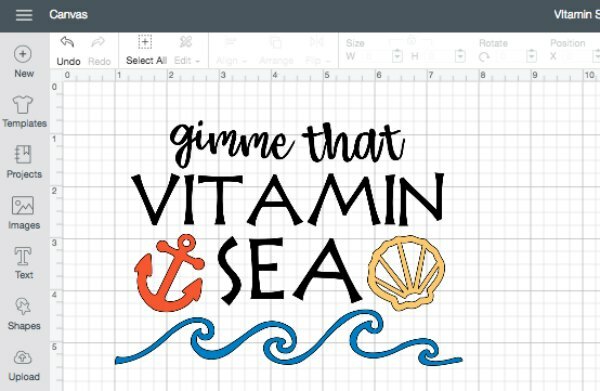 Just click here to access the design and get started making your own –> Vitamin Sea Cricut Cut File Design! I love that it’s simple, but still cute. Once you have the file open in Design Space, you can resize the design as needed for the size of your shirts and for how many you’re making. For my kids, each design is about 1 inch smaller per shirt. Once you have the design sized as you need it (and as many copies added as you need), next up is cutting! I used the Cricut Maker (which I LOVE and recommend), but you can definitely use your Cricut Explore Air Machine for this project if that’s what you have. The Maker is just really SO easy to use. I love that it has settings for A LOT of different materials in which each setting has its own unique calibration for the machine. So once you specify the material-type for your cuts, the machine will adjust the blade depth and pressure to those materials! No dials, no second-guessing on your part – SUPER easy to use and to get good cuts! It really saves on time when making the shirts because it’s so easy to use! Once everything was cut and weeded, I placed the cut design pieces where I wanted them on the shirts. Then, the Cricut EasyPress and NEW Cricut EasyPress Mat were perfect for adhering the design to the shirts. For best results, adhere the regular Iron-on Lite first (the white letters and waves) and then add the Iron-on Foil designs. That’s because the foil heats best at a lower temperature than the other (295°F vs. 315°F) and you might damage the foil by heating at too-high a temperature. So, heat up your Iron-on, get the design on the shirt, and that’s it! SUPER easy! I LOVE the finished results! 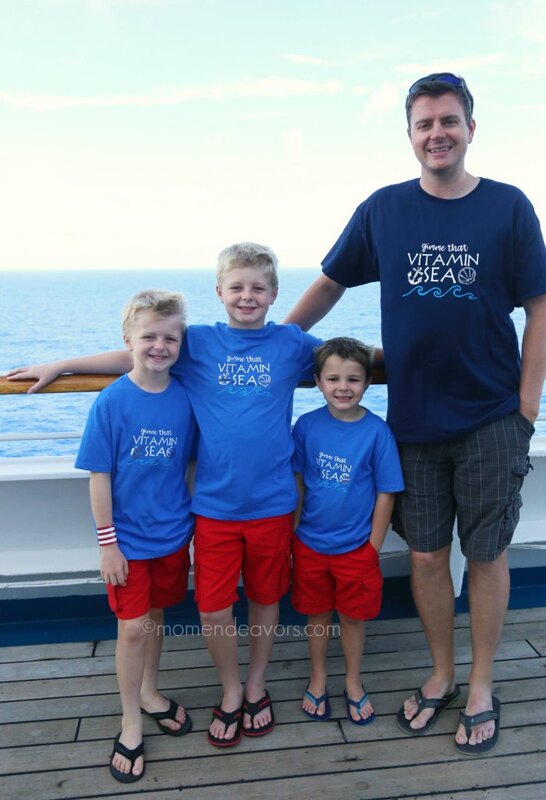 They were the perfect shirts for our cruise! In fact, we can’t wait to bring them on our next one – when we sail to Alaska! Ahhhh! So fun! 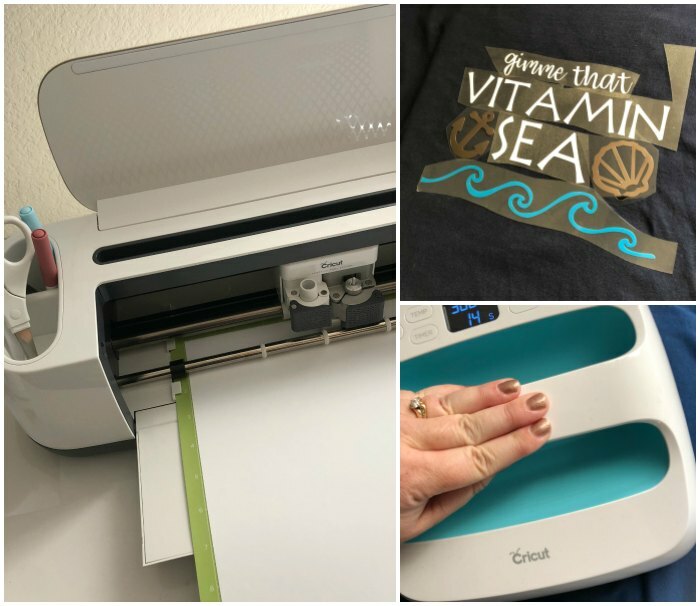 And, if you need another awesome idea for your cruise/beach trip, you can make some adorable custom swim shirts with the NEW Cricut SportFlex Iron-On (it’s a SUPER fabulous product)! 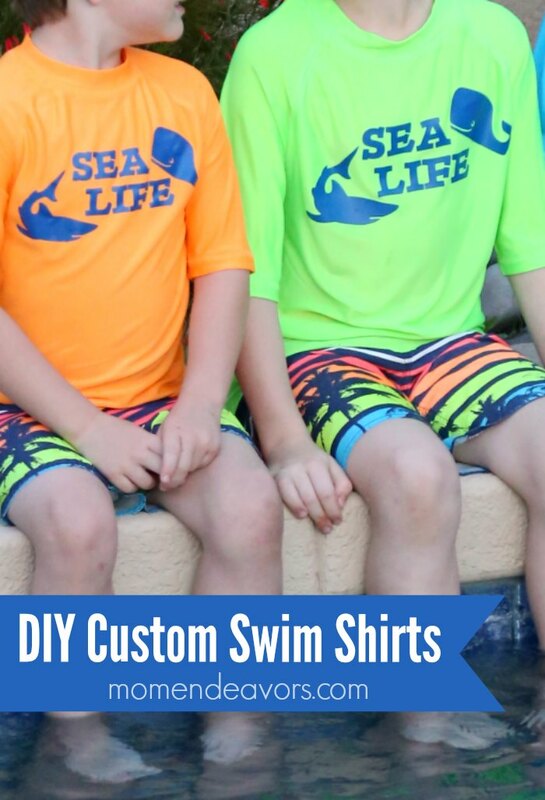 Click over to get the design and details here –> Custom Matching Swim Shirts. Love the shirts! Excellent instructions! !